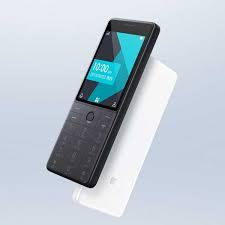 Chinese smart phone maker Xiaomi has launched two new feature phones Qin1 and Qin1s. These handsets have been introduced under the IPIN crowd funding platform. No official information has been given at this time when it will be launched in India or not. Xiaomi played a big bet by presenting these phones. Because this phone has been introduced at the time when the popularity of the 4G feature phones in the Indian market is increasing. This phone will give JioPhone 2 tough competition to the Indian market. There are several latest features in this phone. These include real time multi-lingual voice translation support. Also, artificial intelligence and machine learning are also present in the phone. Qin1s phone is equipped with 4G connectivity. Not only this, both phones have been supported in 17 languages. Both of these phones have been made available for pre-order at 199 Chinese Yuan i.e., about 1,990 rupees in India, on Yupin. It will be made available in the market from September 15. They can be bought in black and white colors. Two one phones have built-in infrared blaster through which the phone is capable of working on the remote control. It has a 2.8-inch QVGA IPS display, whose screen resolution is 240x320. To give power to the phone, a 1480 mAh battery has been given. Its battery capable of delivering standby time of up to 15 days and talk time of 420 minutes. The T9 keypad is present in the phone. Qin1 dual SIM supports. This dual-core MediaTek MT 6260A processor has been used. It has an 8 MB RAM. In addition, 16 MB of internal storage is also available. Factors such as Wi-Fi, Bluetooth and USB Type-C have been provided for connectivity. Qin1s has 4G connectivity. This phone works on Android based on Mokro 5. It is equipped with dual-core AC 9820E processor and 256 MB RAM. Also 512 MB of storage is provided. For connectivity, 4G VoLTE, Wi-Fi hotspot, Bluetooth 4.2, GPS and USB Type-C features are provided in the phone. This phone has a 2.4 inch QVGA display. This phone has 512 MB of RAM and 4 GB internal memory. Internal storage can be extended up to 128 GB via microSD card. This phone works on the KAI operating system. For basic photography, the phone has a 2 megapixel rear camera and a Vide front camera. This is a dual SIM phone with a power of 2000 mAh battery. For connectivity, the phone has features like LTE Band 3.5.40, 2G Band- 900/1800, Wi-Fi, GPS, FM, NFC, VoLTE and VoWiFi. Along with this there is a loud mono speaker. It comes with full QWERTY keypad.